For other people named Henry Moseley, see Henry Moseley (disambiguation). Henry Gwyn Jeffreys Moseley (/ˈmoʊzli/; 23 November 1887 – 10 August 1915) was an English physicist, whose contribution to the science of physics was the justification from physical laws of the previous empirical and chemical concept of the atomic number. This stemmed from his development of Moseley's law in X-ray spectra. Moseley's law advanced atomic physics, nuclear physics and quantum physics by providing the first experimental evidence in favour of Niels Bohr's theory, aside from the hydrogen atom spectrum which the Bohr theory was designed to reproduce. That theory refined Ernest Rutherford's and Antonius van den Broek's model, which proposed that the atom contains in its nucleus a number of positive nuclear charges that is equal to its (atomic) number in the periodic table. This remains the accepted model today. When World War I broke out in Western Europe, Moseley left his research work at the University of Oxford behind to volunteer for the Royal Engineers of the British Army. Moseley was assigned to the force of British Empire soldiers that invaded the region of Gallipoli, Turkey, in April 1915, as a telecommunications officer. Moseley was shot and killed during the Battle of Gallipoli on 10 August 1915, at the age of 27. Experts have speculated that Moseley could otherwise have been awarded the Nobel Prize in Physics in 1916. As a consequence, the British government instituted new policies for eligibility for combat duty. 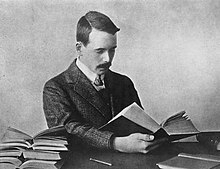 Henry Moseley had been a very promising schoolboy at Summer Fields School (where one of the four 'leagues' is named after him), and he was awarded a King's scholarship to attend Eton College. In 1906 he won the chemistry and physics prizes at Eton. In 1906, Moseley entered Trinity College of the University of Oxford, where he earned his bachelor's degree. Immediately after graduation from Oxford in 1910, Moseley became a demonstrator in physics at the University of Manchester under the supervision of Sir Ernest Rutherford. During Moseley's first year at Manchester, he had a teaching load as a graduate teaching assistant, but following that first year, he was reassigned from his teaching duties to work as a graduate research assistant. He declined a fellowship offered by Rutherford, preferring to move back to Oxford, in November 1913, where he was given laboratory facilities but no support. Experimenting with the energy of beta particles in 1912, Moseley showed that high potentials were attainable from a radioactive source of radium, thereby inventing the first atomic battery, though he was unable to produce the 1MeV necessary to stop the particles. In 1913, Moseley observed and measured the X-ray spectra of various chemical elements (mostly metals) that were found by the method of diffraction through crystals. This was a pioneering use of the method of X-ray spectroscopy in physics, using Bragg's diffraction law to determine the X-ray wavelengths. Moseley discovered a systematic mathematical relationship between the wavelengths of the X-rays produced and the atomic numbers of the metals that were used as the targets in X-ray tubes. This has become known as Moseley's law. Before Moseley's discovery, the atomic numbers (or elemental number) of an element had been thought of as a semi-arbitrary sequential number, based on the sequence of atomic masses, but modified somewhat where chemists found this modification to be desirable, such as by the Russian chemist, Dmitri Ivanovich Mendeleev. In his invention of the Periodic Table of the Elements, Mendeleev had interchanged the orders of a few pairs of elements in order to put them in more appropriate places in this table of the elements. For example, the metals cobalt and nickel had been assigned the atomic numbers 27 and 28, respectively, based on their known chemical and physical properties, even though they have nearly the same atomic masses. In fact, the atomic mass of cobalt is slightly larger than that of nickel, which would have placed them in backwards order if they had been placed in the Periodic Table blindly according to atomic mass. Moseley's experiments in X-ray spectroscopy showed directly from their physics that cobalt and nickel have the different atomic numbers, 27 and 28, and that they are placed in the Periodic Table correctly by Moseley's objective measurements of their atomic numbers. Hence, Moseley's discovery demonstrated that the atomic numbers of elements are not just rather arbitrary numbers based on chemistry and the intuition of chemists, but rather, they have a firm experimental basis from the physics of their X-ray spectra. In addition, Moseley showed that there were gaps in the atomic number sequence at numbers 43, 61, 72, and 75. These spaces are now known, respectively, to be the places of the radioactive synthetic elements technetium and promethium, and also the last two quite rare naturally occurring stable elements hafnium (discovered 1923) and rhenium (discovered 1925). Nothing was known about these four elements in Moseley's lifetime, not even their very existence. Based on the intuition of a very experienced chemist, Dmitri Mendeleev had predicted the existence of a missing element in the Periodic Table, which was later found to be filled by technetium, and Bohuslav Brauner had predicted the existence of another missing element in this Table, which was later found to be filled by promethium. Henry Moseley's experiments confirmed these predictions, by showing exactly what the missing atomic numbers were, 43 and 61. In addition, Moseley predicted the existence of two more undiscovered elements, those with the atomic numbers 72 and 75, and gave very strong evidence that there were no other gaps in the Periodic Table between the elements aluminium (atomic number 13) and gold (atomic number 79). This latter question about the possibility of more undiscovered ("missing") elements had been a standing problem among the chemists of the world, particularly given the existence of the large family of the lanthanide series of rare earth elements. Moseley was able to demonstrate that these lanthanide elements, i.e. lanthanum through lutetium, must have exactly 15 members – no more and no less. The number of elements in the lanthanides had been a question that was very far from being settled by the chemists of the early 20th Century. They could not yet produce pure samples of all the rare-earth elements, even in the form of their salts, and in some cases they were unable to distinguish between mixtures of two very similar (adjacent) rare-earth elements from the nearby pure metals in the Periodic Table. For example, there was a so-called "element" that was even given the chemical name of "didymium". "Didymium" was found some years later to be simply a mixture of two genuine rare-earth elements, and these were given the names neodymium and praseodymium, meaning "new twin" and "green twin". Also, the method of separating the rare-earth elements by the method of ion exchange had not been invented yet in Moseley's time. Moseley's method in early X-ray spectroscopy was able to sort out the above chemical problems promptly, some of which had occupied chemists for a number of years. Moseley also predicted the existence of element 61, a lanthanide whose existence was previously unsuspected. Quite a few years later, this element 61 was created artificially in nuclear reactors and was named promethium. Before Moseley and his law, atomic numbers had been thought of as a semi-arbitrary ordering number, vaguely increasing with atomic weight but not strictly defined by it. Moseley's discovery showed that atomic numbers were not arbitrarily assigned, but rather, they have a definite physical basis. Moseley postulated that each successive element has a nuclear charge exactly one unit greater than its predecessor. Moseley redefined the idea of atomic numbers from its previous status as an ad hoc numerical tag to help sorting the elements into an exact sequence of ascending atomic numbers that made the Periodic Table exact. (This was later to be the basis of the Aufbau principle in atomic studies.) As noted by Bohr, Moseley's law provided a reasonably complete experimental set of data that supported the (new from 1911) conception by Ernest Rutherford and Antonius van den Broek of the atom, with a positively charged nucleus surrounded by negatively charged electrons in which the atomic number is understood to be the exact physical number of positive charges (later discovered and called protons) in the central atomic nuclei of the elements. Moseley mentioned the two scientists above in his research paper, but he did not actually mention Bohr, who was rather new on the scene then. Simple modification of Rydberg's and Bohr's formulas were found to give theoretical justification for Moseley's empirically derived law for determining atomic numbers. X-ray spectrometers are the foundation-stones of X-ray crystallography. The X-ray spectrometers as Moseley knew them worked as follows. A glass-bulb electron tube was used, similar to that held by Moseley in the photo at the top of this article. Inside the evacuated tube, electrons were fired at a metallic substance (i.e. a sample of pure element in Moseley's work), causing the ionization of electrons from the inner electron shells of the element. The rebound of electrons into these holes in the inner shells next causes the emission of X-ray photons that were led out of the tube in a semi-beam, through an opening in the external X-ray shielding. These are next diffracted by a standardized salt crystal, with angular results read out as photographic lines by the exposure of an X-ray film fixed at the outside the vacuum tube at a known distance. Application of Bragg's law (after some initial guesswork of the mean distances between atoms in the metallic crystal, based on its density) next allowed the wavelength of the emitted -rays to be calculated. Moseley participated in the design and development of early X-ray spectrometry equipment, learning some techniques from William Henry Bragg and William Lawrence Bragg at the University of Leeds, and developing others himself. Many of the techniques of X-ray spectroscopy were inspired by the methods that are used with visible light spectroscopes and spectrograms, by substituting crystals, ionization chambers, and photographic plates for their analogs in light spectroscopy. In some cases, Moseley found it necessary to modify his equipment to detect particularly soft [lower frequency] X-rays that could not penetrate either air or paper, by working with his instruments in a vacuum chamber. Sometime in the first half of 1914, Moseley resigned from his position at Manchester, with plans to return to Oxford and continue his physics research there. However, World War I broke out in August 1914, and Moseley turned down this job offer to instead enlist with the Royal Engineers of the British Army. His family and friends tried to persuade him not to join, but he thought it was his duty. Moseley served as a technical officer in communications during the Battle of Gallipoli, in Turkey, beginning in April 1915, where he was killed in action on 10 August 1915. Moseley was shot in the head by a Turkish sniper while in the act of telephoning a military order. Blue plaque erected by the Royal Society of Chemistry on the Townsend Building of the Clarendon Laboratory at Oxford in 2007, commemorating Moseley's early 20th-century research work on X-rays emitted by elements. Only twenty-seven years old at the time of his death, Moseley could, in the opinion of some scientists, have contributed much to the knowledge of atomic structure had he survived. Niels Bohr said in 1962 that Rutherford's work "was not taken seriously at all" and that the "great change came from Moseley." Robert Millikan wrote, "In a research which is destined to rank as one of the dozen most brilliant in conception, skillful in execution, and illuminating in results in the history of science, a young man twenty-six years old threw open the windows through which we can glimpse the sub-atomic world with a definiteness and certainty never dreamed of before. Had the European War had no other result than the snuffing out of this young life, that alone would make it one of the most hideous and most irreparable crimes in history." Isaac Asimov wrote, "In view of what he [Moseley] might still have accomplished … his death might well have been the most costly single death of the War to mankind generally." Because of Moseley's death in World War I, and after much lobbying by Ernest Rutherford, the British government instituted a policy of no longer allowing its prominent and promising scientists to enlist for combat duty in the armed forces of the Crown. Isaac Asimov also speculated that, in the event that he had not been killed while in the service of the British Empire, Moseley might very well have been awarded the 1916 Nobel Prize in Physics, which, along with the prize for chemistry, was not awarded to anyone that year. Additional credence is given to this idea by noting the recipients of the Nobel Prize in Physics in the two preceding years, 1914 and 1915, and in the following year, 1917. In 1914, Max von Laue of Germany won the Nobel Prize in Physics for his discovery of the diffraction of X-rays by crystals, which was a crucial step towards the invention of X-ray spectroscopy. Then, in 1915, William Henry Bragg and William Lawrence Bragg, a British father-son pair, shared this Nobel Prize for their discoveries in the reverse problem — determining the structure of crystals using X-rays (Robert Charles Bragg, William Henry Bragg's other son, had also been killed at Gallipoli, on 2 September 1915). Next, Moseley used the diffraction of X-rays by known crystals in measuring the X-ray spectra of metals. This was the first use of X-ray spectroscopy and also one more step towards the creation of X-ray crystallography. In addition, Moseley's methods and analyses substantially supported the concept of atomic number, placing it on a firm, physics-based foundation. Moreover, Charles Barkla of Great Britain was awarded the Nobel Prize in 1917 for his experimental work in using X-ray spectroscopy in discovering the characteristic X-ray frequencies emitted by the various elements, especially the metals. "Siegbahn, who carried on Moseley's work, received one [the 1924 Nobel Prize in Physics]." Moseley's discoveries were thus of the same scope as those of his peers, and in addition, Moseley made the larger step of demonstrating the actual foundation of atomic numbers. Ernest Rutherford commented that Moseley's work, "Allowed him to complete during two years at the outset of his career a set of researches that would surely have brought him a Nobel prize". Memorial plaques to Moseley were installed at Manchester and Eton, and a Royal Society scholarship, established by his will, had as its second recipient the physicist P. M. S. Blackett, who later became president of the Society. ^ Rutherford, E. (1911). "The scattering of α and β particles by matter and the structure of the atom". Philosophical Magazine. 6th series. 21 (125): 669–688. ^ Broek, A. van den (1913). "Die Radioelemente, das periodische System und die Konstitution der Atome" [Radio-elements, the periodic system, and the constitution of atoms]. Physikalische Zeitschrift (in German). 14: 32–41. ^ Isaac Asimov (1972), Asimov's Biographical Encyclopedia of Science and technology, New York: Doubleday, p. 921. ISBN 0-385-17771-2. ^ a b Smoot, Robert C.; Jack Price (1983). Chemistry: a modern course. Charles E. Merrill Publishing Co. p. 195. ISBN 978-0-675-07160-4. ^ Public Schools Year Book 1906. ^ Moseley, H.G.W. (1913). "The attainment of high potentials by the use of Radium". Proceedings of the Royal Society. 88 (605): 471–6. Bibcode:1913RSPSA..88..471M. doi:10.1098/rspa.1913.0045. Retrieved 5 January 2013. ^ Moseley, H.G.J. (1913). "The high-frequency spectra of the elements". Philosophical Magazine. 6th series. 26: 1024–1034. ^ "American Chemical Society". Retrieved 14 September 2016. ^ Reynosa, Peter. "An Ode to Henry Moseley". Huffington Post. Retrieved 7 January 2016. ^ "Oral History Transcript — Niels Bohr". American Institute of Physics. Retrieved 7 September 2012. ^ Cropper, William. The Quantum Physicists and an Introduction to Their Physics. p. 53. ^ Asimov, Isaac (1972). Asimov's Biographical Encyclopedia of Science and Technology. New York: Doubleday and Company. p. 921. ISBN 978-0-385-17771-9. ^ Reynosa, Peter. "An Ode to Henry Moseley". The Huffington Post. Retrieved 7 January 2016. ^ "Casualty Details: Bragg, Robert Charles". Commonwealth War Graves Commission. ^ Isaac Asimov, "Moseley, Henry Gwyn-Jeffreys", in Asimov's Biographical Encyclopedia of Science and Technology: The Lives and Achievements of 1510 Great Scientists from Ancient Times to the Present Chronologically Arranged (1982), Garden City, NY: Doubleday, Second Revised Edition. Heilbron, John L. (1974). H. G. J. Moseley: The Life and Letters of an English Physicist, 1887–1915. Berkeley and Los Angeles, California: University of California Press. ISBN 978-0-520-02375-8. Jaffe, Bernard (1971). Moseley and the Numbering of the Elements. Garden City, New York: Anchor Books. Scerri, Eric R. (2007). The Periodic Table: Its Story and Its Significance. Oxford: Oxford University Press. ISBN 978-0-19-530573-9. Wikimedia Commons has media related to Henry Moseley. Wikisource has the text of a 1922 Encyclopædia Britannica article about Henry Moseley.